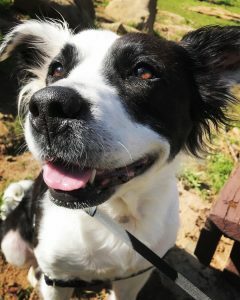 Zoey is my 5 year old border-collie mix she sadly has been diagnosed with Patent Ductus Arteriosus or a PDA that she was born with, she has been given a 6-9 month timeframe to live if she does not receive surgery. I rescued zoey when she was a puppy and I even adopted out her 3 other siblings that were left because they were not cared for properly and were bloated like little elephants, Zoey could live a normal life if she receives this surgery so I am asking for help, a family member has offered to help me with half but I am unable to come up with the other half. We are running out time and need help. thank you for taking the time to read Zoey’s story.